Brigadier General (res.) Kahalani says politicians should not make military promises that could change when they come into power. Brig.-Gen. (Res.) Avigdor Kahalani said that the complex reality in Gaza allows him to understand the government's decisions, yet he opposes the declarations of some of the ministers who once made declarations that they now understand they will not be able to realize. In an interview with Arutz Sheva, Gen, Kahalani said that "you should be very careful with what you announce before you take office." "You can mow [through Gaza] and create a very deep hatred, but you have to go without being as hot as they want you to be. They use the bodies and homes that were destroyed against the State of Israel," said Kahalani, who believes that the government's policy is restrained and wise. As for the possibility that the situation will inevitably lead to an IDF ground invasion in Gaza, Kahalani does not support such a move, and he believes that it may result in more bereaved parents. Referring to the families of killed IDF soldiers Hadar Goldin and Oron Shaul protesting the statements about the possibility of building a seaport for the residents of the Gaza Strip, Kahalani said that as a person who accompanied and embraced the Goldin and Shaul families and who felt their pain, the discourse they are conducting is humanitarian. In this context, he mentioned the visits and improved conditions received by the imprisoned Hamas terrorists because of the state's obligation to act between one legal adviser and the other. "We have to pass laws that say that our treatment of the prisoners in our hands will be similar to the treatment we give on the other side." "The Goldin and Shaul families are asking for a grave to prostrate themselves on, and the State of Israel must look for ways to do this, but should we find other ways?" Brig. Gen. (res.) Kahalani was also asked to address the decision of the Military Advocate General to prosecute combatants who fired at terrorists on the Gaza border. Kahalani made it clear that he does not know the details of the case completely: "We do not know why he decided as he did. I cannot rule anything out because I do not know the case, but we do not shoot someone in the back. But it is also possible that these are also just plays by the other side." In Kahalani's opinion, decisions like those of the Military Advocate General are not meant to harm or undermine the motivation of young people to enlist. For example, he presents the border police and the constant friction of the organization's fighters with the Arab population. That means that the fighting spirit is right and people want to preserve our country. People get one or another case in the right proportion." In the opinion of Kahalani, decisions like those of the Military Advocate General are not meant to harm or undermine the motivation of young people to enlist, for example, he presents the border police and the constant friction of the organization's fighters with the Palestinian population. At the same time, the level of motivation for enlistment to the border police is four times that of the Golani bridgade. "That means that the fighting spirit is right and people want to preserve our country. People get one or another case in the right proportion." 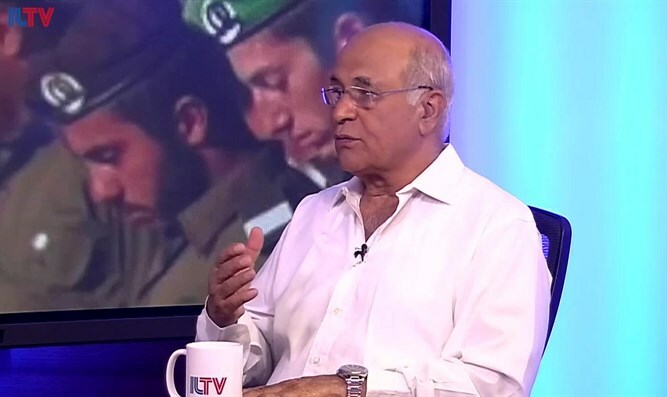 Kahalani also refered to the affair of Maj. Gen. Yair Golan whose controversial statements were brought up again after he was named as a candidate for IDF Chief of Staff. "Yair Golan is a good officer, without a doubt. If he was a politician would go on, but if you look for someone in a pinch then you pick apart each word. He explained himself and I accept the explanation. He said things were not well understood and then he explained them again to be understood. I would not have harmed his candidacy for the chief of staff because of such things. I hope the defense minister makes the right decision." As for the tension with Iran, Kahalani does not believe that Israel is approaching a confrontation with the Islamic Republic, but that Iran's leaders are coming to understand that Europe will not be able to save the 2015 nuclear deal. He believes that Iran is shifting its focus to establishing its military presence in Syria, and Israel will have to adapt to changes on its northern border.